A misdiagnosis or failure to diagnose can cause a patient's health to sharply decline and could even result in death. Foley Law Firm has secured settlements of up to $700,000 for clients who have suffered due to a doctor's failure to properly diagnose their or a loved one's condition. Contact our Scranton, PA, firm by calling one of our locations or filling out our online form to discuss your case with one of our seasoned medical malpractice attorneys. Inarguably, both of these circumstances can have devastating effects on the victim's life, especially those with cancer or other serious conditions. When they do not meet these expectations, they may be considered negligent for their actions which have caused a patient unnecessary suffering. You can rest assured that our attorneys will thoroughly investigate these aspects when building your case. We believe every client deserves full compensation for all aspects of their life that have been affected by misdiagnosis or failure to diagnose. As your health declines, you may begin to accumulate mounting medical expenses, become unable to work, and experience unbearable physical and mental duress. Having a skilled personal injury lawyer by your side can be invaluable. 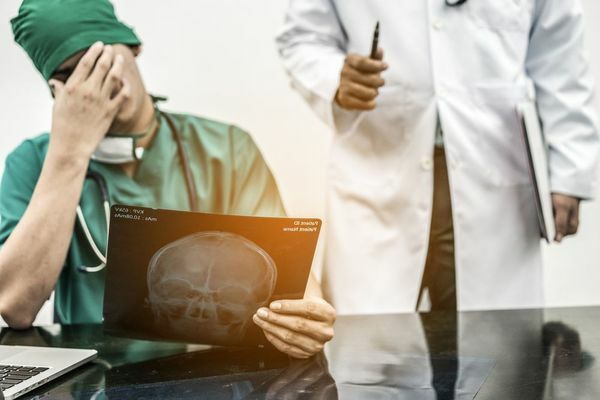 Medical malpractice cases can become rapidly complex and overwhelming for those who are inexperienced in the legal system. You will often be contending with hospitals and large organizations that have the financial means to endure a long legal battle. Foley Law Firm has secured settlements of up to $700,000 for clients who have suffered due to a doctor's failure to properly diagnose their or a loved one's condition. Additionally, immunity issues, deadlines, and paperwork can be confusing and disqualify your case if not handled properly. Our established legal team is very familiar with laws and processes that can impact the outcome of your case and will ensure that everything legal is taken care of in the most effective manner while you focus on your health. For nearly 40 years, Foley Law Firm has been protecting the interests of victims of medical malpractice. We will plan a personalized strategy that empowers you and helps you establish a financially secure future. To schedule a consultation with one of our compassionate attorneys, contact us online or call one of our locations today.